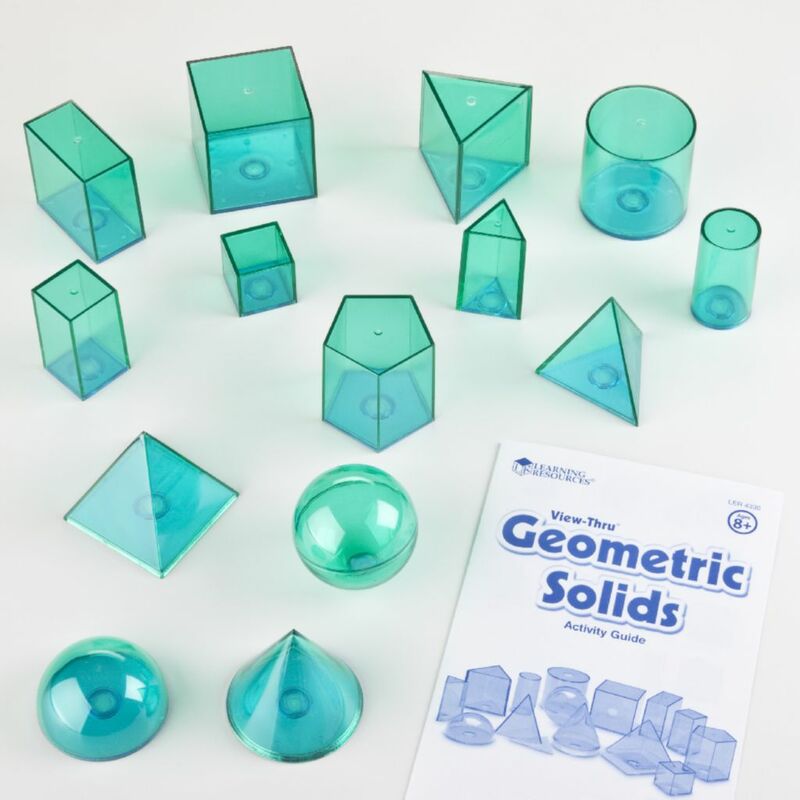 This set of three-dimensional View-Thru geometric shapes help students to explore the relationship between size and shape, and volume. Removable bottoms allow shapes to be filled with water, sand, or other materials. 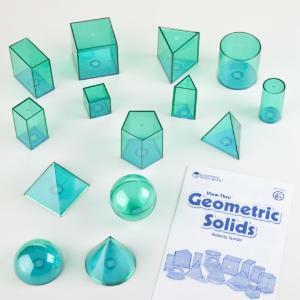 Shape size varies 3–6cm.